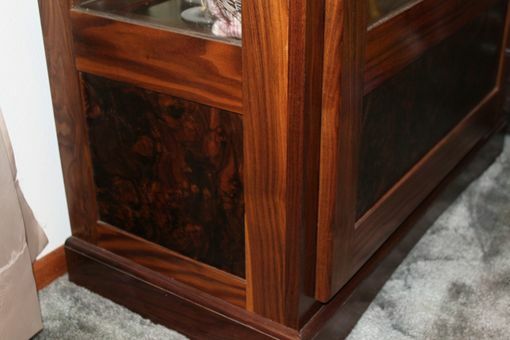 This is a solid Walnut Curio cabinet I built for my wife. 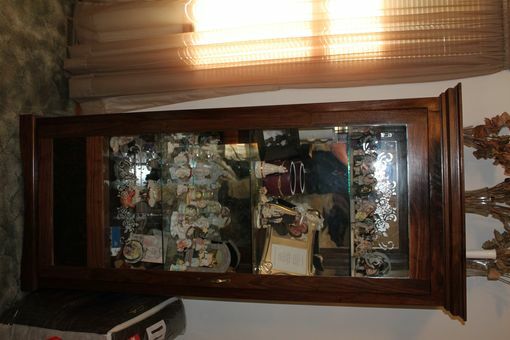 The cabinet has 3 glass shelves and a mirror covering the interior. It was built with frame and panel construction. 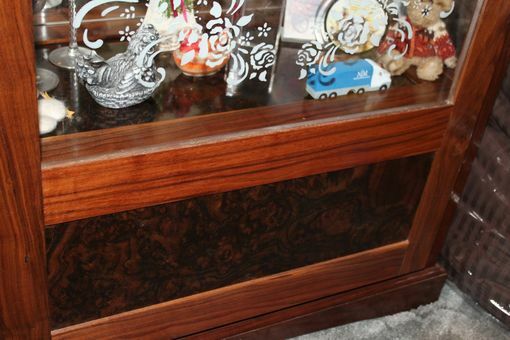 The panels are veneered with walnut burl. The door has a magnetic catch. 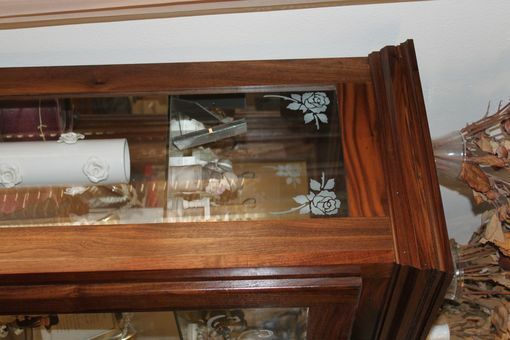 The glass on the sides and front of the cabinet were stenciled with roses on the side and a floral design on the front. 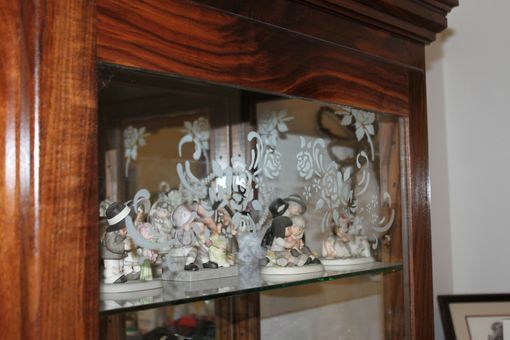 This gives the cabinet an etchedglass look. The entire cabinet was finished wth polyuerethane and rubbed down to a satin finish. This design could easily be converted to a gun cabinet complete with locking door and walnut braces to hold the guns in position.